Media Technology Services supports approximately 285 classrooms, learning spaces, and conference rooms across campus. This includes space/technology design, engineering, integration, installation and management, as well as responding to requests via the help line or 20-minute dispatch. For immediate assistance, please call the Technology Emergency Line at 781-736-4632. You can also contact John Pizzi at 781-736-4450 or Tim O'Neil at 781-736-4429. Laptop display connections can be tricky. View the Laptop Quick Start Guide for help connecting your laptop. NOTE: Mac, DisplayPort or USB-C outputs require users to bring their own VGA adapter — several types are available for loan at the MTS Office. ITS provides Zoom, a web-based virtual meeting room available to the entire Brandeis community. Zoom supports both basic face-to-face web conferencing sessions as well as fully interactive online learning sessions with multiple participants. Zoom offers a high-quality and easy-to-use video, audio, screen-sharing, and collaboration experience across Windows, Mac, iOS, Android, Blackberry, Linux, Zoom Rooms, and H.323/SIP room systems. 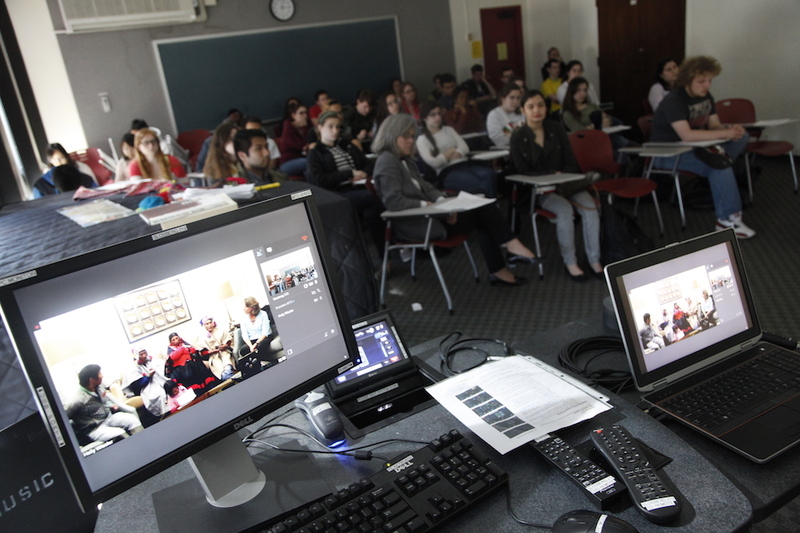 The Brandeis Lecture Capture Program includes 20+ classrooms equipped with fully automated recording systems as well as access to capture software that can be utilized in any classroom on campus. The Echo360 Active Learning Platform is comprised of a suite of tools for recording live lectures in the classrooms, pre-recording lectures for students to watch outside of class, as well as interactive tools intended to be used in the classroom to enhance student engagement. The platform is designed to enhance student learning through interaction and engagement and also allow faculty to track student engagement through the platform's comprehensive analytics tools. Ensemble is a platform for streamlined video capture, video management, and video publishing available to Brandeis faculty members and staff to host online videos (e.g., lectures, course video, films, etc.). These videos can also be used in LATTE as part of a course. To view technology guides, find the building from the list below and click on your classroom/conference room (this is an alphabetical list of rooms by building name). Need immediate assistance? Contact MTS at 781-736-4632 or submit a ticket by emailing mts@brandeis.edu.